The morning dance experience that inspires over 450,000 people to wake up and dance is launching in Sydney at SEA LIFE Sydney Aquarium. Daybreaker began over a late-night falafel in Brooklyn, New York back in 2013. Social entrepreneurs and close friends, Radha Agrawal and Matt Brimer, mused over an idea about dancing before the day broke with people they loved. 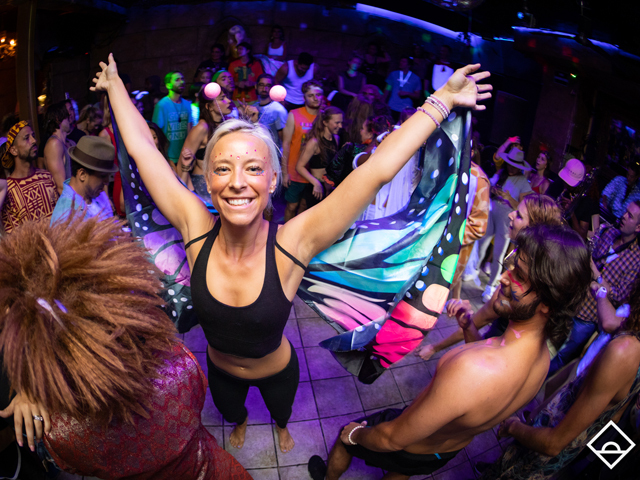 The idea stemmed from a frustration with nightlife and all the stigmas that often come with it "a lack of human connection, people engrossed in their phones, mean bouncers and the lack of dancing. Paired with a curiosity to explore the morning hours (a time that most people usually sleep through), Daybreaker was born. "There are few things as exciting as launching in a new city " and we take a lot of care to get it right." Says, Agrawal "We're most passionate about sharing with Sydney that Daybreaker is a community, first and foremost. It's where we come together to unlock, connect and self express through dance. It's amazing what can happen when you bring a group of people together on a dance floor that's totally unapologetic and gives you a true sense of freedom."